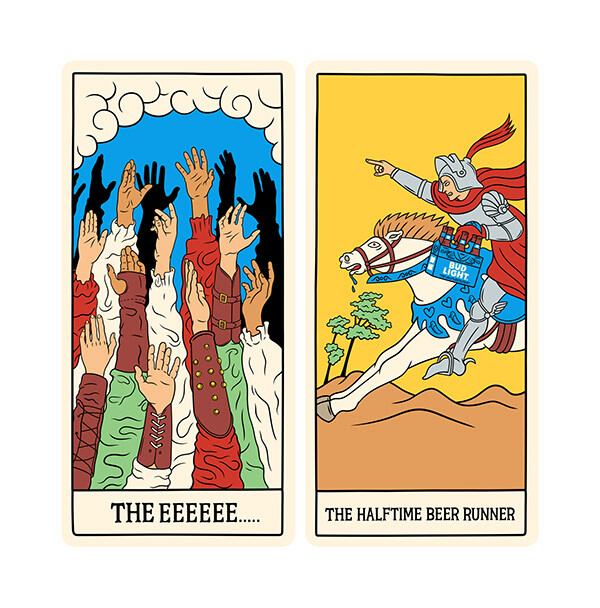 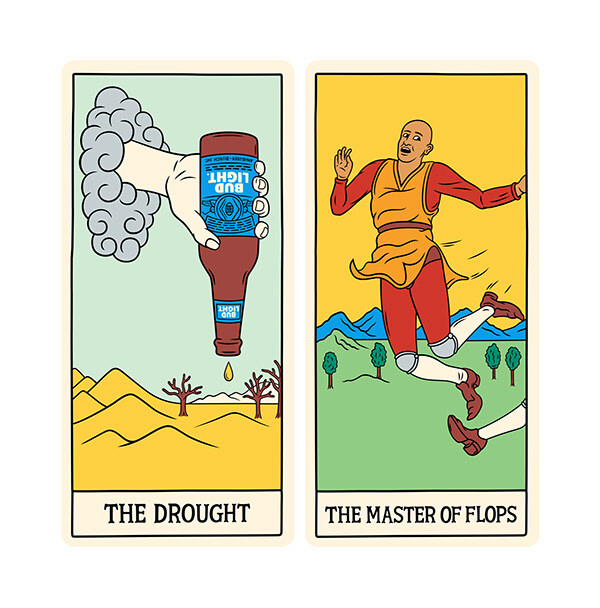 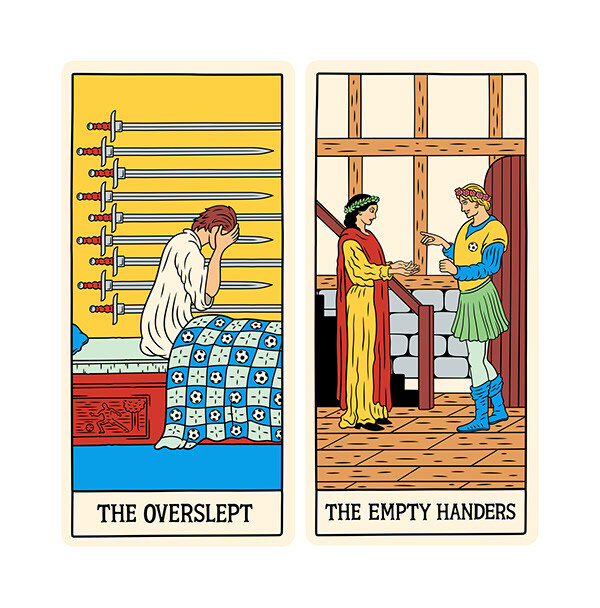 I was asked by Wieden + Kennedy New York to illustrate a set of Tarot Cards for Bud Light. 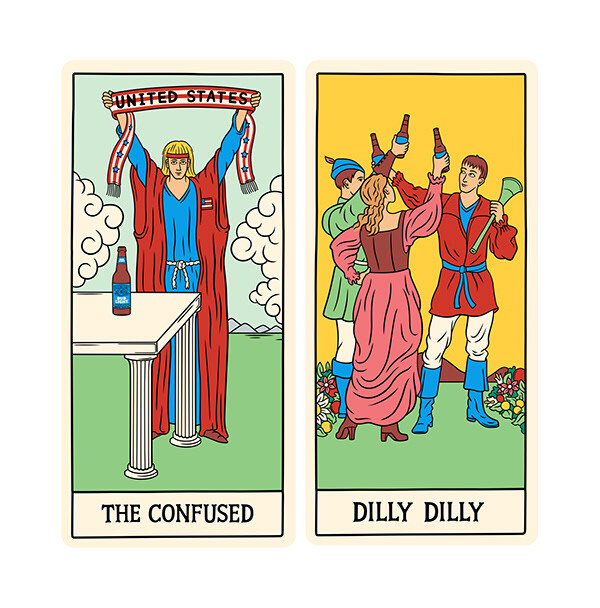 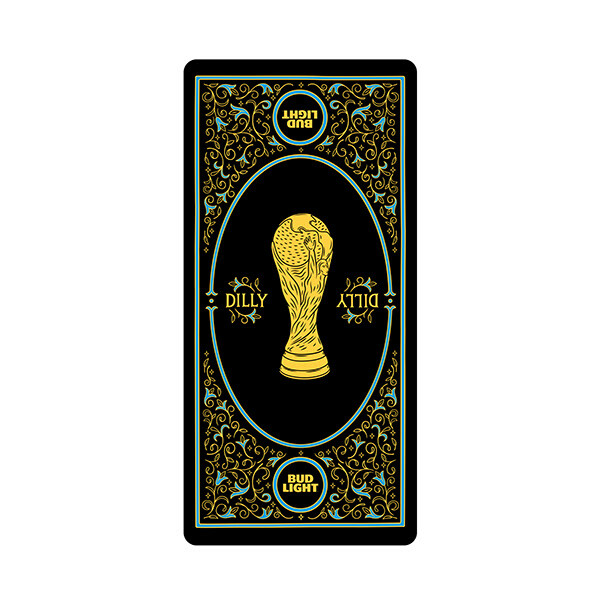 This set of cards was used in a series of American TV and online commercials as part of the Bud Light "Dilly DIlly" campaign during the 2018 Fifa World Cup. 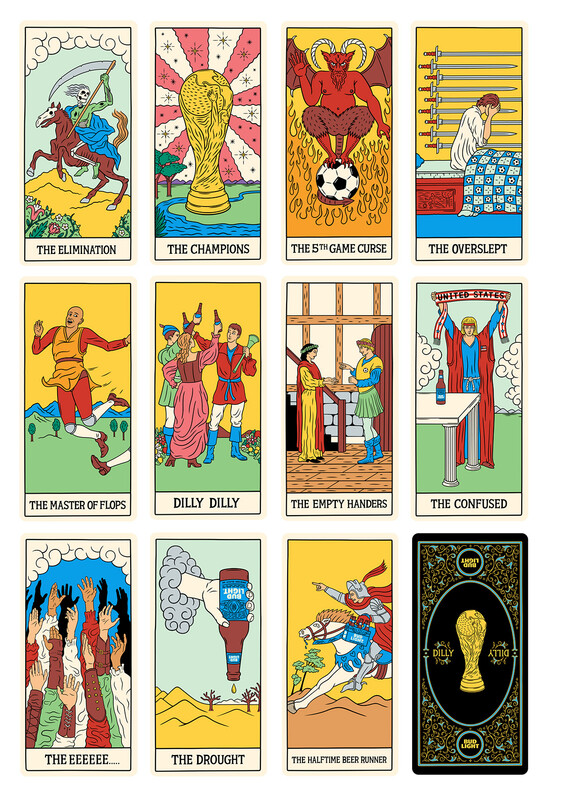 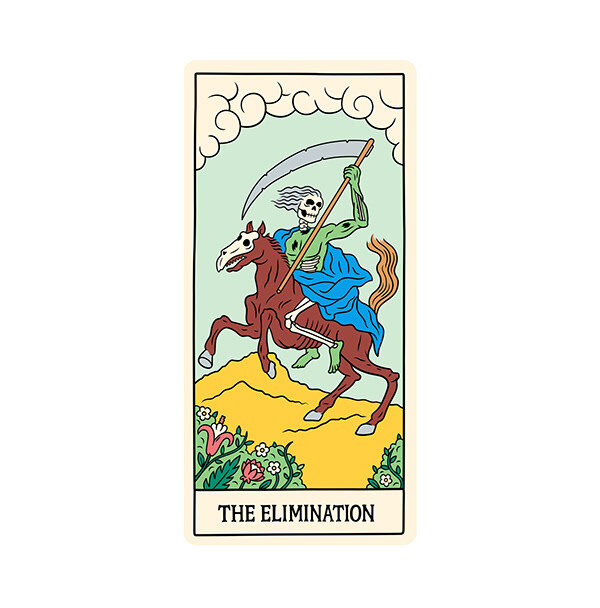 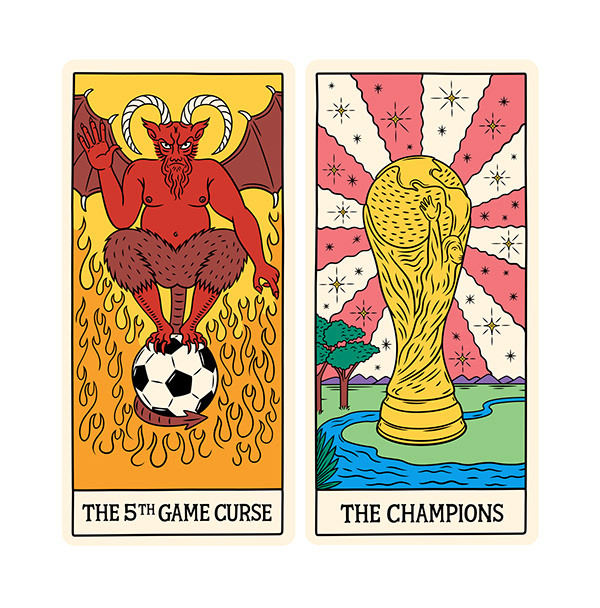 In these commercials a fortune teller uses the cards I have designed to make predictions for the American football team in the 2018 Fifa World Cup.